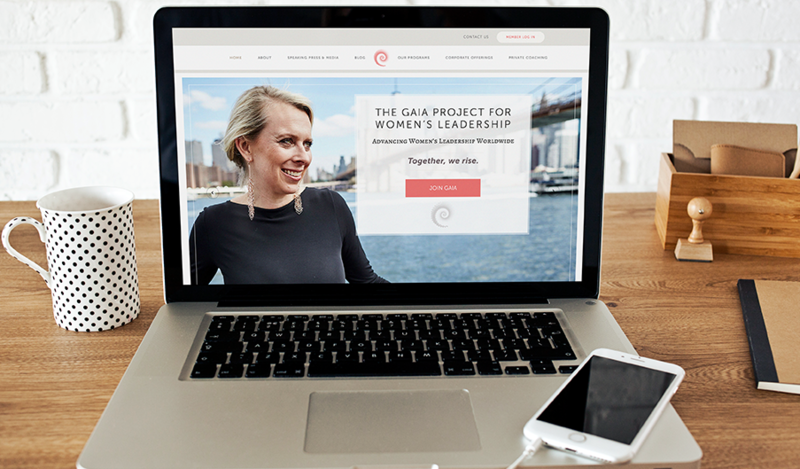 I was completely honoured to be the design lead on the Gaia Leadership Project. The passionate founder and CEO, Elizabeth Cronise McLaughlin, has long been a source of inspiration to me for fierce and intelligent women’s leadership. The mission of the Project is to cultivate leaders from the ground up to advance new models of leadership, and women’s leadership in particular. To speak to these goals, the design had to contain a lot of information that was easy to navigate. We also wanted a look that was both feminine AND neutral, strong and clean. We went for a palette of white, navy, taupe and pink. I was also lucky enough to have access to a lot of gorgeous photos.